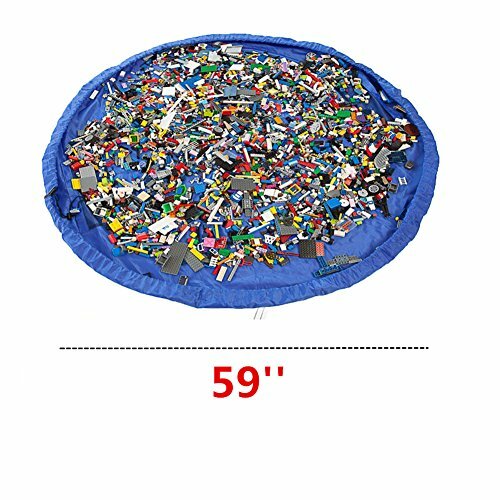 Huge floor mat folds out to 59 inches, offering tons of room for kids to play Lego bricks, action figures, Barbie dolls, car models, Hot Wheels and more! Portable & Multi-purpose – As an activity play mat during the day,it is easily taken to friend’s house, outdoor picnics, camping and sandy beach as mat or sand beach seat. As a portable toy storage bag, it is great for storing Small and Medium Size Toy. Grab and go! Mummy’s good friend. Use this to make sure your child is having fun without worrying about the mess. Material: Sturdy canvas bag and nylon cord. 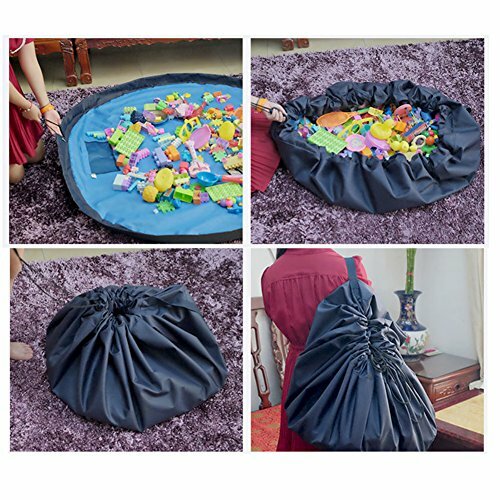 Sealed bag with sturdy shoulder strap is easy to carry with you anywhere – from the living room to the playroom, to a friend’s house or on a trip. Simply pull the draw string when your child is finished playing and all the toys will be stored in the large 59 in bag for future play.